The announcement was welcomed as a step in the right direction by various consumer groups; however, the company’s efforts in providing healthier options for its customers should not stop there, according to the health group Action on Sugar. Still, despite the increasing demands of consumers for healthier alternatives to salt and sugar, adjustments made by big food companies were cosmetic at best and did nothing to address the issue, according to a report by the Washington Post. In the report, it states while companies have removed sodium and added sugars, as well as artificial colors and additives for some products, there’s been an increase in the amount of saturated fats, which could raise cholesterol levels in the blood. The results of the report reaffirm this pattern: While breakfast cereals, along with yogurts and snacks, have seen decreases in sugar and salt content. However, saturated fat contents for these products have notably increased. According to the American Heart Association, saturated fats raise the cholesterol level in your blood, and may increase your chances of heart disease and stroke. Not only that, but breakfast cereals must also be free of potential toxins that could have long-term effects on cognitive development and bodily function. A recent article in The New York Times reported high levels of arsenic in rice cereal – which is commonly the first solid food babies eat. The information, published by the nonprofit group Health Babies Bright Futures, noted that cases, where the toxic substance is found in food products, had dipped in recent years. However, rice cereals still contain six times more arsenic than other types of cereals made with oatmeal or barley. High levels of exposure to arsenic can lead to multiple cancers — such those of the skin, bladder, and lungs. When children are exposed to arsenic, this can result in learning difficulties and behavioral disorders. The process of reducing sugars in breakfast cereals will be monitored by Public Health England. Initial results of the process are expected to be released in March 2018. 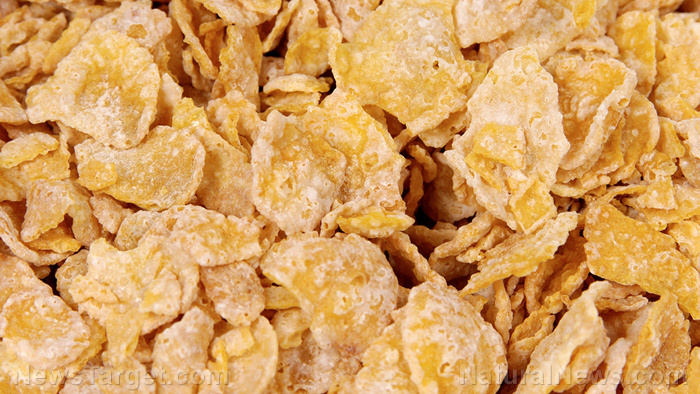 To learn more about how added sugars in cereal products can prove to be disastrous, head over to FoodScience.news today.